During our early childhood, the world around us forces us to continually discover. Take the basic components of our humanity such as language and communication. Throughout early childhood, we go through a process of discovery - learning how to communicate so that our basic needs of food, warmth and shelter are catered for. As we develop, those needs evolve and become more complex. An interesting part of early childhood is how limitless we are in our capacity to engage in the process of discovery. We love to independently experiment with materials, play with numbers, work on puzzles and explore our surroundings. At an early age, we haven't developed language-based constructs such as fear of failure, or procrastination. Discovery is innate to us, and it is a process we constantly and continuously engage in. However, as we start school something changes. Prevailing research shows that the structures and reward systems that primary and secondary institutions enforce encourage rote learning to improve performance on standardised testing, rather than incentivising continuous discovery based on a person’s interests. A STEAM-focused curriculum incentivises continuous inquiry and discovery. As such, we see it as a component of an optimally balanced educational experience, particularly in early childhood. If we are able to encourage, incentivise and help young humans develop the tools early on to continually question, critique and innovate, it stands to reason that they’ll be more likely to develop into confident, problem solvers with the knowledge and resources to be influential in their environment and throughout their lives. STEAM is an educational approach to learning that uses Science, Technology, Engineering, the Arts and Mathematics as access points for guiding student inquiry, dialogue, and most importantly critical thinking. Imagine confident human beings who take thoughtful risks, engage in experiential learning, persist in problem-solving, embrace collaboration, and work through the creative process. This is what a well thought out and delivered STEAM program provides. STEAM removes limitations and replaces them with wonder, critique, enquiry, and innovation. The “A” in STEAM is an important addition to STEM (Science, Technology, Engineering and Maths) core skills, as issues of ethics, responsibility, and ultimately innovation, will only happen on the edge between STEM and the Arts. This is because we innovate for people. It would be a shame for us to lose appreciation for the things that bring us the most joy, in the pursuit of STEM. The general consensus among policy makers is that STEAM related jobs will become more and more important to our economy as technology plays an ever-increasing role in our world - a view which is supported by research from Deloitte Access Economics. We are already seeing amazing advancements in technology such as self-driven electric cars, 3D printers, bionic limbs that respond to neural activity, amazing automation and efficiency in the way we do things. Therefore, it follows, that to be adaptable to the changes and challenges of the future, we need to educate our children on methods of problem solving and discovery. In this way, our children will be able to participate in the ever -increasing improvement of our world rather than being displaced by it. What does a STEAM learning process involve? It involves children developing their own questions and following the process of 5E's (Engaging, Exploring, Explaining, Elaborating and Evaluating) in order to find answers and create solutions to their questions. This is a highly relevant expression of the scientific process - developing a hypothesis, creating a method to test the hypothesis, collecting results, and determining whether the results prove or disprove the hypothesis. 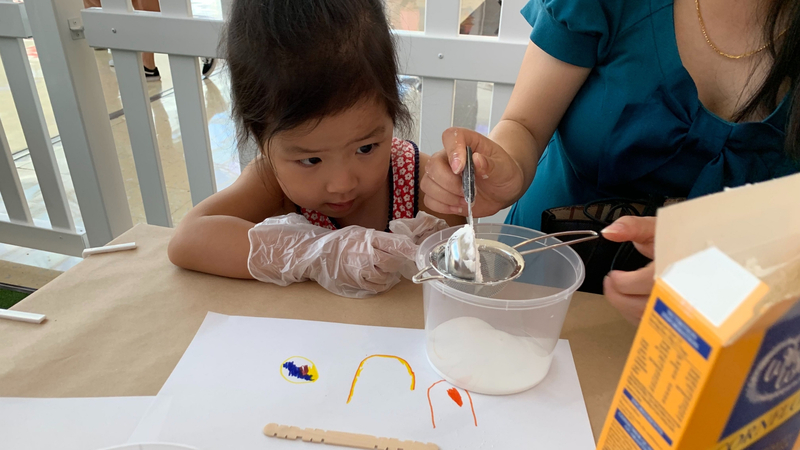 STEAM learning also takes it a step further in encouraging the use of experimental learning to truly understand the content of what children are discovering. The Arts involve expression, communication, creativity and imagination, which open pathways to creativity (innovation), understanding of ethics, rhetoric and appreciation of aesthetics. All in all, children will design and run projects with the guidance of an educator in order to come to informed answers to their questions about the world. Why is STEAM important in EARLY EDUCATION? Evidence tells us that a person’s life successes, awareness of their place in the world, health and emotional wellbeing, have their roots in early childhood. Discovering issues that affect humanity and our environment such as global warming, access to clean water and deforestation are important in developing young minds that are aware of the world around us. To take this a step further, using a STEAM based approach allows us to invite children into a frame of thinking that involves them using the process of Engaging, Exploring, Explaining, Elaborating and Evaluating to create solutions to these real world issues. What is amazing about young people is that their imagination has not been limited by factors that limit us as adults. Melanie Randeniya is the Executive Director of Future Stars Early Learning Centres. She has ten years experience as an Early Learning Centre Manager and a Bachelor of Science (Psychology). She is a qualified Diploma Educator and is currently completing her Cert IV in training and assessment and her Early Childhood Teaching Degree (birth to 12 years). Alongside her work in Early Education, Melanie has also worked in the field of developmental psychology as a behaviour therapist and for Macquarie University (MultiLit) as a literacy tutor (applying standardised testing and therapy to children with delayed reading skills). Future Stars Early Learning Centre in Pymble provides a home away from home for young children aged 6 weeks - 6 years, where they can develop their confidence, curiosity and love of learning. 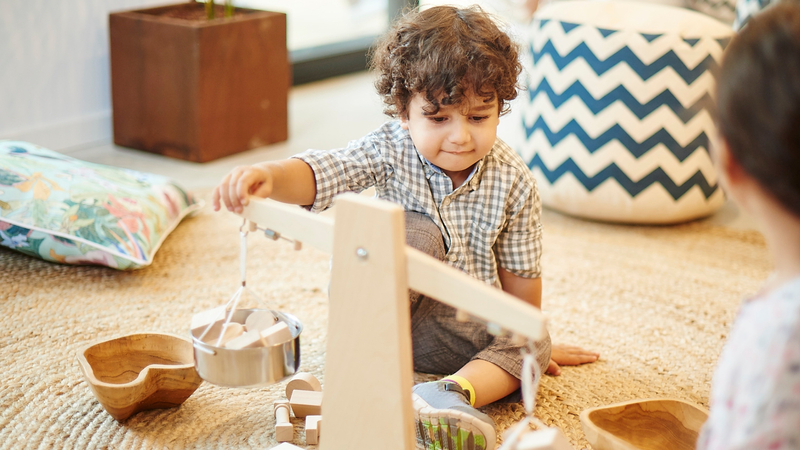 The Future Stars pre-school curriculum incorporates a STEAM based teaching program that empowers children to choose, design and run their own projects. Each module of learning is based around a fun project or experiment that leads each child to think of and create solutions to the real world issues that they are presented with. Following this, they then get to present their findings to parents, educators and the community at our science fairs. We use this model to create empowered, empathetic and responsible learners, well equipped to start primary school, and ready for life’s journey. If you would like to find out more about the Future Stars STEAM based learning program, click the button below to arrange a time to meet our team.